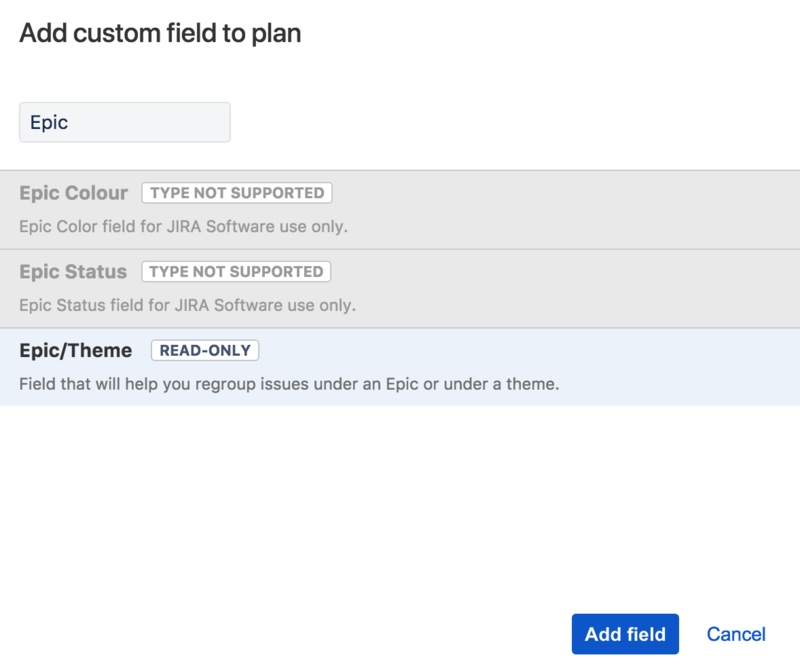 You can add custom fields from Jira Software into your plan so you can view and edit them in your scope table. Go to your plan > click located next to the plan name > Configure > Custom fields. Select Add a custom field and select the field you want to add from the list and click Add field. Number Field is editable from within Portfolio. Text-field (single-line) is editable from within Portfolio. All other standard custom field types are read-only. Text-field (multi-line) is not supported. All Advanced custom field types are not supported. If you want to delete a field, hover over the left side of the field row, click and Remove from plan. If you want to add more fields, click + Add custom field, which is located on the same screen. Access the Jira Software Custom field configuration screen by clicking Manage custom fields.